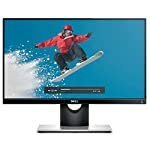 The Benq GW2270HM is a low cost monitor for those that are looking for a basic all rounder for the home computer. I personally prefer 24″ as a starting point but if your space is limited then a 21.5″ model is just about workable – at least it keeps the cost down. On the plus side the VA based panel does overcome some of the limitations with the more common TN technology. You should expect more vibrant colours and deep blacks and much improved viewing angles, this means colour accuracy is maintained when you view the monitor from the side, or above. Let’s be clear the GW2270HM is a budget model so the screen is on the small side and there is little in the way of adjustability offered by the stand. You’ll have to place it on a pile of books if it is too low, or perhaps the smarter option is to use the VESA mounting to fix it to a supporting arm. Then you can move it around to your heart’s content. 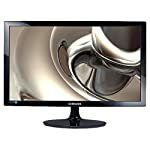 I wouldn’t call this a particularly stylish monitor, it looks fairly basic but again for the price you’re paying you were never going to get bells and whistles. That said, the clean sharp lines of the frame and stand mean that neither is the ugliest looking model to choose from. Two fairly feeble 1W speakers are supplied, the only real difference between this and the older GW2270H. Connectivity is actually pretty decent with VGA, DVI and HDMIx2 available. So if you want to simultaneously hook this up to your PC and console then you’re in luck. Professional testers report back positive results when putting colour accuracy and uniformity to the test. Suggesting this is potentially a good budget option for anyone keen on graphical work. We’re not talking professional work here, and I’m not sure a professional would be happy with a 21.5″ display anyway, but the image quality stands up well for home users. The 1080p resolution works well at this size, you wouldn’t really want anything higher. Gaming performance is adequate, there are no game centric features of course but it is perfectly playable. We give the BenQ GW2270HM a 4.5 out of 5 rating. Want to know what existing owners of the monitor think? You can read real user reviews here. 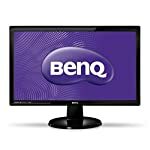 Should I buy the BenQ GW2270HM? The Benq GW2270HM is a decent enough budget home office monitor for anyone that wants to step beyond the more common TN based displays on the market. Your eyes will also appreciate the flicker free and blue light reducing modes. If you are having some doubts about this purchase then why not read some real owner reviews and see what other buyers think.